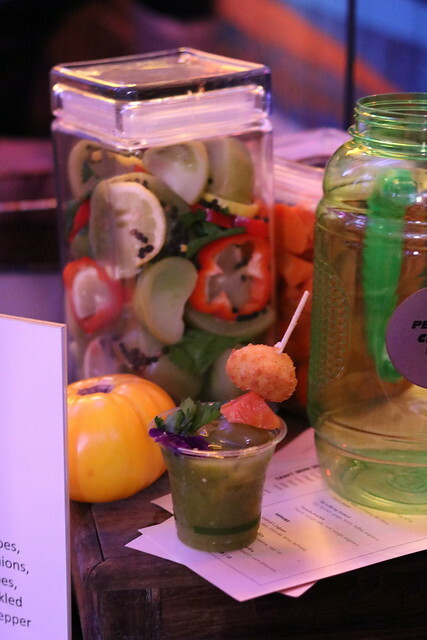 We had the pleasure of judging the Bloody Mary Libation Party‘s Bloody Mary Fest in NYC and D.C. this year. We are honored that the Bloody Mary community has recognized our unique expertise in such areas. And, we had a bloody good time! Let’s start with the D.C. venue, Blind Whino. Located five minutes from the Capitol building, the Blind Whino is one of the most artistic and funky venues you’ll visit in the city. 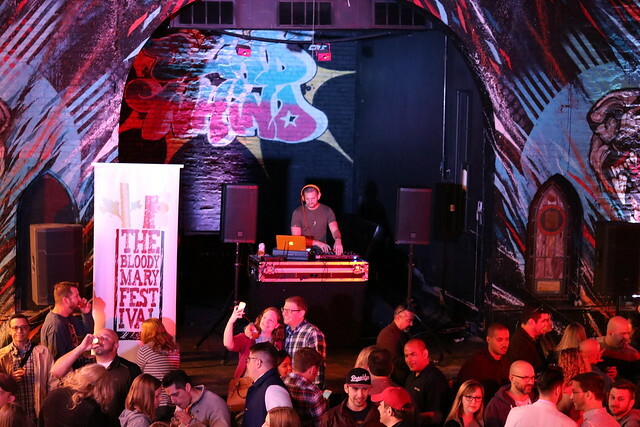 Complete with an outdoor space, two floors, and an art gallery, the Blind Whino was the perfect locale for the Bloody Mary Festival. Now, for the Bloodys. 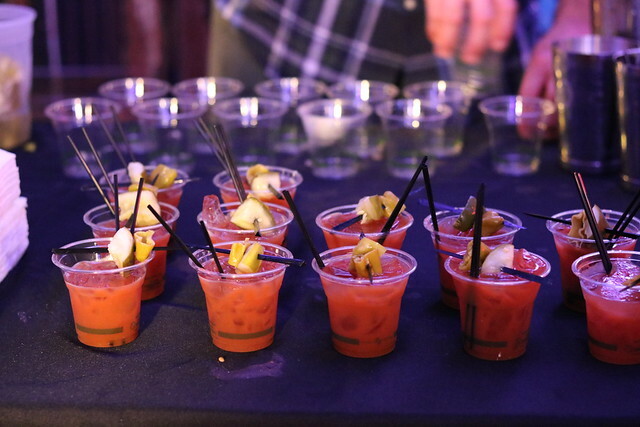 We sipped and judged nine Bloodys from Hank’s Oyster Bar, Bar Pilar, Range, The Heights, Barrel, Old Engine, Due South, Rebellion, and Mason Social. Each one was funkier and spicier than the last. I will say that if you’re a vegetarian, you will have limited options. These are no ordinary horseradish and tomato juice beverages. These Bloodys come with brisket drippings, oyster-infused tomatoes, and shrimp-bacon garnishes — it was like a meal in a glass! Our favorite Bloody Marys were from Range and Rebellion. Range offered a green tomato Bloody Mary because only green tomatoes are available in D.C. this time of year. Major points for thinking outside the box and staying local! This Bloody contained Effen Vodka, smoked green tomatoes, charred jalapeños, charred green onions, charred cucumber, yellow tomatoes, cilantro, basil, shiro dashi, salt, pickled ramps, pickled mushrooms, and black pepper. It was tasty, easy to drink, and had just enough kick. It was topped off with a goat cheese fritter which was delicious in all its fried glory. Rebellion won Best Original Style Bloody Mary and had the friendliest and most helpful Bloody creator. This drink contained Effen Vodka, Sacramento tomato juice, beer, horseradish sauce, creole mustard, pickle juice (the creator’s grandmother’s recipe), hot sauce, Worcestershire sauce, celery salt, celery seed, liquid smoke, lemon juice, Rebellion sauce, whole peppercorn, beef bullion cubes, tomato paste, A1 steak sauce, and seasonings. This drink was delicious and different. There was a definite kick to it, but it was very smooth and easy to sip. It’s winning title was well-deserved. My only compliant from the event was the lack of food options. There were two food trucks–one Mexican and one BBQ. These options were tasty, but once again our vegetarian or gluten-free friends were a little limited. The bagel bar could have used a little more effort as well. Untoasted bagels and individual packets of cream cheese does not a bagel bar make—in my opinion. However, the Bethesda Bagels were pretty tasty regardless of the lack of toasting. 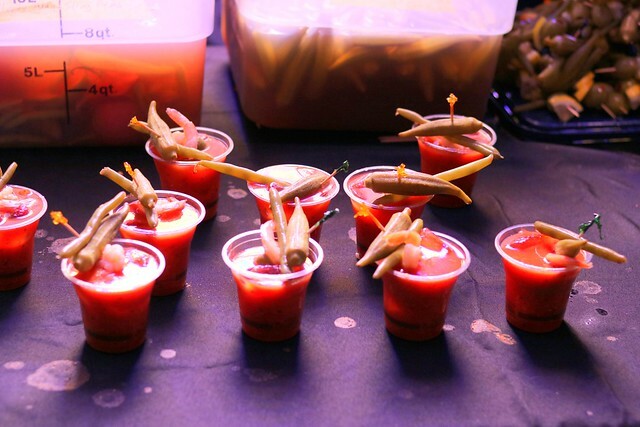 We’d recommend this event for anyone who loves — and can stomach gallons of — Bloody Marys. You will definitely get your money’s worth and enjoy the party-like atmosphere. We recommend springing for the VIP tickets so you can enjoy some drinks before it gets crowded. This sounds like an event The Dream Team would love.Reading this Motivated me more so! to think outside the box .